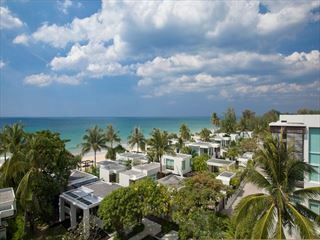 Formerly known as The Chedi, The Surin is nestled in peaceful seclusion on the island’s finest shore, Pansea Beach. 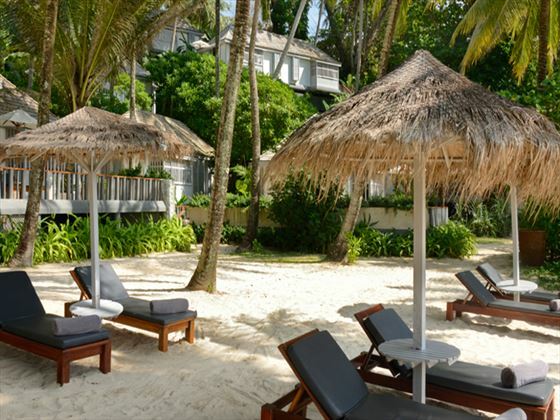 The 108 thatched cottages sit under a shelter of coconut palms on landscaped slopes that gently descend to meet the white sand beach and are connected by elevated walkways. The appeal of the spacious 89 one-bedroom and 19 two-bedroom cottages is further enhanced with private verandahs, secluded sun decks, and handcrafted teak floors. 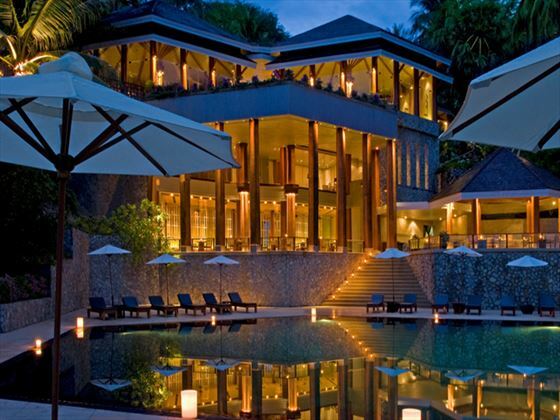 The Surin complements the rustic serenity of Phuket with its warm spirit of true island hospitality, a unique tropical paradise. 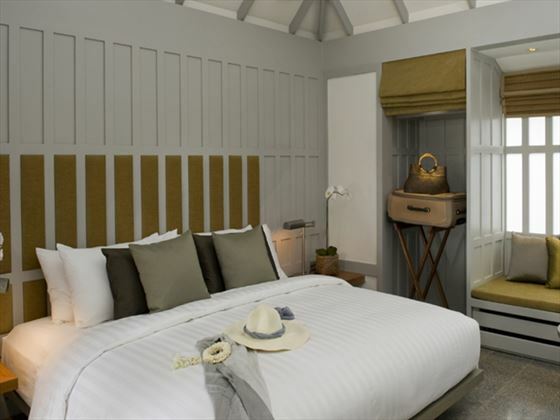 Linked together by walkways, all cottages are luxurious bedrooms with dressing areas and outdoor sun deck. Amenities standard include mini bar, individually controlled air-conditioning, satellite TV, IDD telephones, personal safes and complimentary coffee and tea making facilities. Size and interior finishes of Beach Deluxe Suites and Studio Suites differ from the cottages with the additional feature of his/her vanities, bath-tub, flat-screen TV and Bose sound-dock with mini I-Pod. 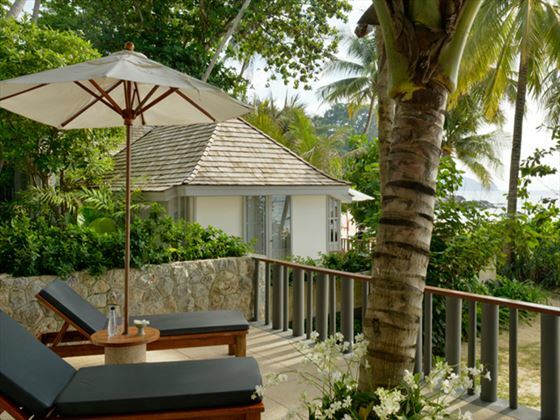 In addition to the outdoor terrace for sunbathing, a Beach Deluxe Suite has also an outdoor covered verandah. 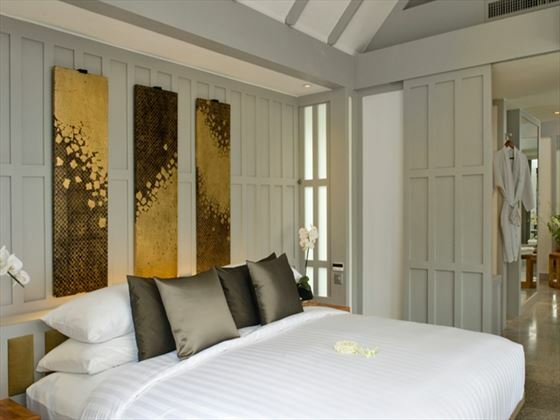 Master bedroom – one king size bed (180 cm x 200 cm). Lounge room – one daybed (150 cm x 200 cm). One King size bed and one sofa bed. The peaceful settings of the Spa have been created expressly with thoughtful intention, to harmonize with the natural beauty of the surroundings. Guests are ensured a complete spa wellness experience with relaxing and rejuvenating treatments derived from traditional Thai and contemporary curative approaches. 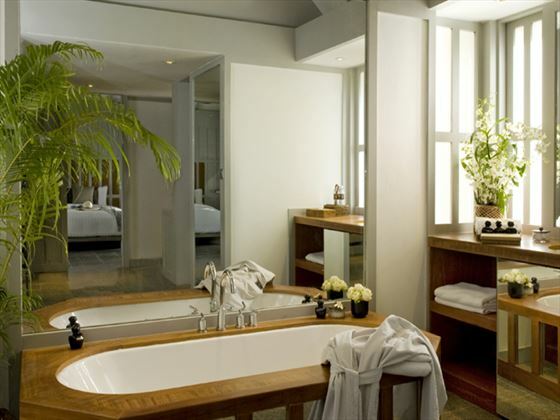 Four well-appointed indoor and outdoor treatment, rooms and a plunge pool that offers sweeping views of the Andaman Sea pose the perfect sanctuary for ultimate spa indulgence. The Surin’s preferred dive operator, H2O Sportz, is a 5-star PADI training facility offering accredited dive courses from introductory to advanced levels year-round. The introductory course is a quick and safe way to experience the thrill of scuba-diving in one day. The course consists of a brief introduction to dive equipment followed by a pool session during which basic skills are introduced. An instructor-led dive follows that same afternoon. PADI Open Water Certification and all other PADI courses are available, along with a wide range of dives for experienced guests. Full gear and private dive boats are available. bright-purple sea anemones, snappers and schools of moray eels. Koh Dok Mai, perhaps the area’s most spectacular dive site, is about 40 minutes away to the East. This wall dive takes you through caves and crevices filled with scorpion fish, sea anemones, coral and all the brilliant underwater marvels the Andaman Sea has to offer. On the hotel grounds, a dramatic black tiled swimming pool with kids children’s pool can be enjoyed. Light snacks and beverages are available throughout the day. The beachfront setting here is stunning. All The Surin’s restaurants offer imaginative menus, which combine continental favorites, the exotic flavours of the east and exquisite Thai cuisine. Authentic Thai cuisine is served in a breathtaking setting on the upper floor in the main building overlooking the ocean. 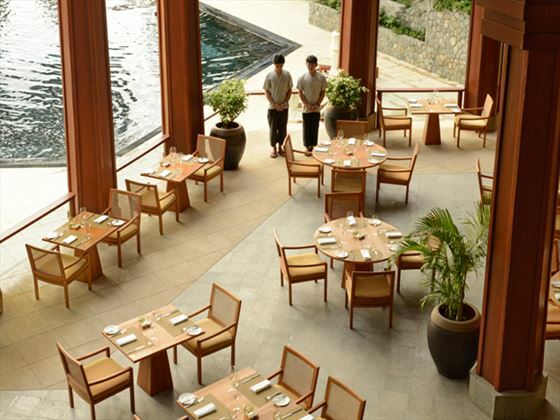 Guests enjoy unobstructed views of the Andaman Sea with delightful indoor and outdoor seating arrangements. 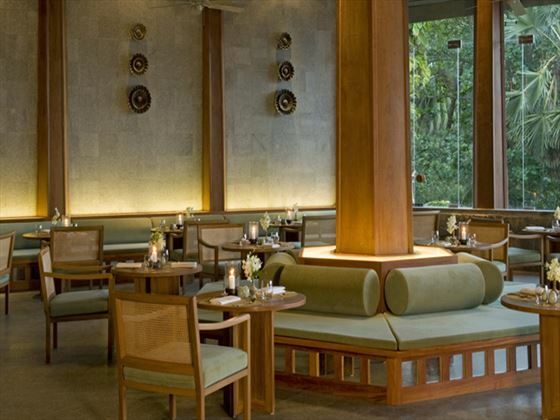 Live classical Thai music complements the enchanting dining experience. 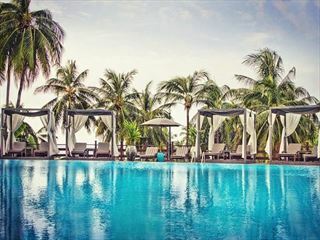 Great views of the deep blue Andaman Sea and dramatic black swimming pool; the ideal place to sit back, relax and watch the world go by. Sunset Cafe offers the best in Western and Thai cuisine as well as snacks and refreshments for sunbathers throughout the day. A casually elegant bar serving refreshments, cocktails and after dinner drinks. The perfect place to relax after an active day sightseeing. The Sunset Bar offers an unrivaled view across the Andaman Sea towards a brilliant Phuket sunset. 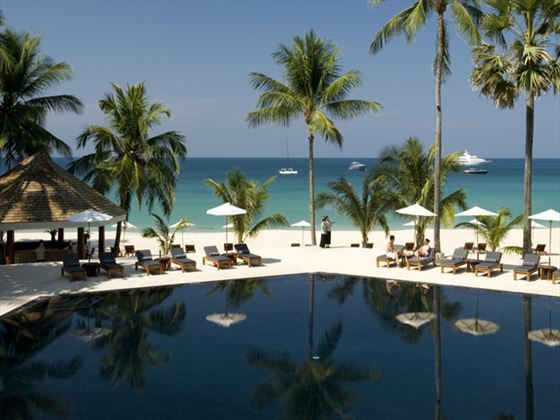 The Beach Restaurant offers the finest from the Andaman Sea, fresh fish and seafood complemented by selected imported prime meat cuts, all served in an exquisite seaside location. Rare is the opportunity to enjoy a fine dining experience while seated only a few steps away from the ocean. The Beach Restaurants is also a favorite spot for enjoying light lunches and salads, inspired fine dining that captures the atmosphere and natural beauty of The Surin’s stunning beach. Open for lunch from 12:00pm to 5:00pm and dinner from 7:00pm to 10:30pm. The Beach Restaurants is open between October and early May. During several nights of the week between October and April, The Surin offers special evening entertainment in one of the restaurants. 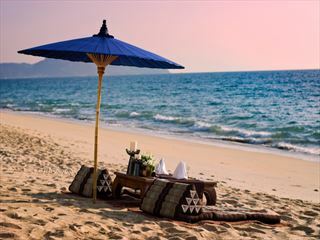 Join our casual Beach B.B.Q on Pansea Beach or enjoy the elegant Thai dancers whilst savoring the Thai Village style Buffet in the Lomtalay Restaurant. UpgradeGreat Deals for upgrades to Business Class.